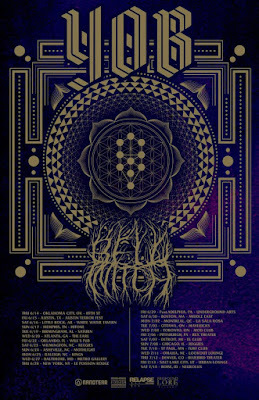 Seattle doom duo BELL WITCH will bring their sullen psalms to the stage again this June beginning with six special shows supporting Sleep from June 5 though June 10. From there, the band will join Yob for a near month-long trek. 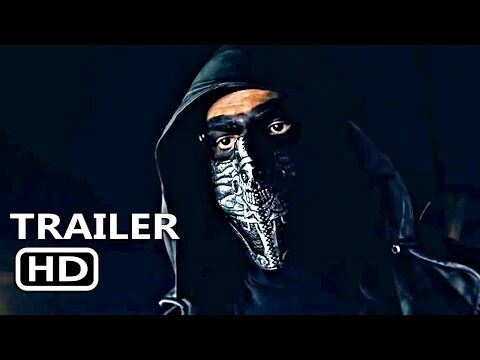 The journey, which will commence June 14 in Oklahoma City, Oklahoma and close July 14 in Boise, Idaho, includes appearances at Austin Terror Fest and Mutants Of The Monster Festival. 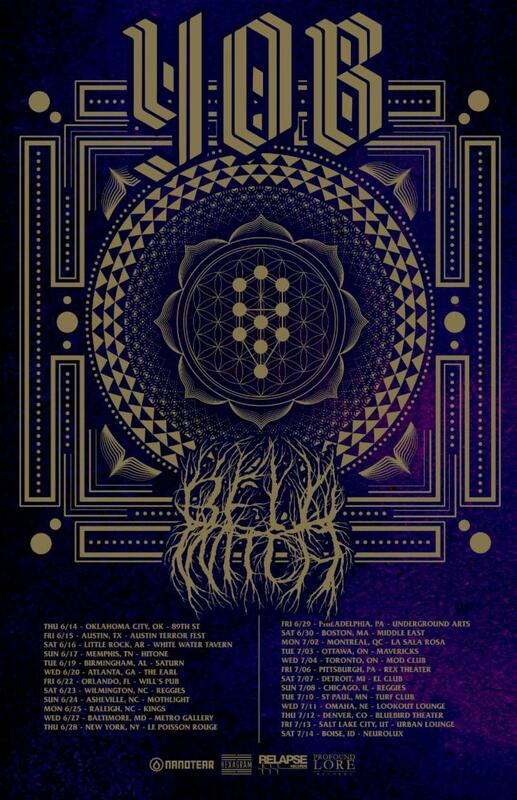 BELL WITCH will be touring in support of their breathtaking Mirror Reaper full-length, issued via Profound Lore. Engineered and mixed by veteran producer Billy Anderson (Swans, Sleep, Neurosis), the duo of Dylan Desmond (bass, vocals) and Jesse Shreibman (drums, vocals, organ), Mirror Reaperdelivers one continuous, eighty-three-minute piece unfolding as a single track. Exploring the more meditative, melancholy, and introspective aspects to their sound through the introduction of long, lonely organ passages and the return of vocalist Erik Moggridge (Aerial Ruin), the stunning record made its way onto countless year end lists including a spot on Pitchfork's 10 Best Metal Album's Of 2017 and Bandcamp's Best Bandcamp Metal Albums Of 2017. Elsewhere the record earned the #11 spot of Decibel Magazine's Top 40 Albums List, #1 on Pop Matters' Best Metal Of 2017, #10 on Loudwire's 25 Best Metal Albums Of 2017, #2 on Metal Injections Top Five Funeral Doom Album's Of 2017 and many others. Stream Mirror Reaper in full at bellwitch.bandcamp.com. Mirror Reaper is available on 2xCD, 2xLP, and digital formats. Order your copy today at profoundlorerecords.com. Formed by Desmond and ex-drummer/vocalist Adrian Guerra, BELL WITCH released their first self-titled demo in 2011 and partnered with Profound Lore Records for their debut album, Longing, in 2012. The duo's second LP, 2015's acclaimed Four Phantoms was recognized as one of doom metal's triumphs of the year. The band extensively toured in North America and Europe, securing notable festival appearances including Roadburn, Basilica Soundscape, Sled Island, and Psycho California.